These are probably one of the most difficult slots to understand. However, once you’ve read this article, you should be quite confident in telling people exactly what a loyalty slot is. Basically loyalty slots are based on a loyalty jackpot that can be earned by playing the slot for any length of time. On some loyalty slots, you can even win a Lamborghini or Ferrari. Furthermore, there are special prizes such as a week in the penthouse suit of the casino you won in, or a holiday away to the tropics. Really when it comes to loyalty slots, the sky is the limit when it comes to inventive driven prize payouts. How do Loyalty Slots Usually Payout? The loyalty jackpot is paid out by collecting a certain number of icons during your sessions on the slot. Once you hit the required amount, the loyalty jackpot will pay out, or a bonus round will open up in which you can navigate your way through the loyalty slot’s bonus game to get paid. For the casinos, live and online, your continuation plays are something they want to reward because you are the type of player that gives their casino the buzz and vibe they are always looking for. A just reward for one of these lengthy session or several sessions building up your chance of a loyalty jackpot is a nice payout. To get that payout, you need to continue playing until you have met the required level, cash amount or length of play needed to release the loyalty bonus feature or jackpot. With a tasty reward for continuous play, most players will stay on the slot and keep on playing just so they can hit that bonus. As mentioned above, the more you play the closer you get to a reward. Most of the time that reward is a special side feature known as the loyalty jackpot. Normally, this works on a collect the icon basis. Each time the jackpot related icon lands on one of the reels it will be recorded in an area on the slot that is clearly visible and related to the loyalty jackpot. Once the player has collected all the loyalty points needed, then the jackpot will drop in giving the player a reward for their time spent. Note that some loyalty slots will actually save your progress even after you exit. This is obviously to keep you coming back for more to improve on your current level or points status. Check out the section below ‘Themed Loyalty Slots’ where we mention multi-level slots that are also similar to loyalty slots or they can be classed as loyalty slots. If you have just read the section above ‘Loyalty Slot Jackpots’, then there is not much explaining to be done here. The bonus games is triggered on exactly the same principles used to payout the loyalty jackpot. As soon as the loyalty level required to release the bonus game has been reached, then the bonus game will begin. Obviously, on slots there are a flurry of bonus games out there, so the bonus round could be anything. 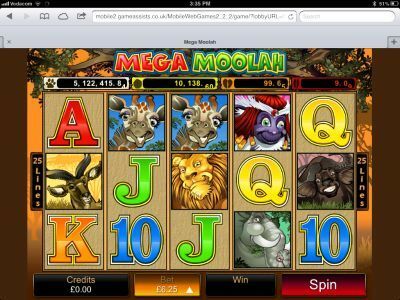 It also depends on what type of slot you are playing; classic slots, live slots or video slots. Video slots have the most graphically intense bonus games; while, other standard live slots that are not video based slots may have a bonus that is a skill stop on the reels or a random button operated bonus that allows the player to decide their own fate. Rarely found online, but seen in the live casinos of Vegas are loyalty slots that come with a progressive jackpot as the loyalty jackpot or as a side jackpot. With the latter, there is more than one reason to continue playing. Firstly, you are building up loyalty points as you play, secondly, there is the ever looming possibility of a progressive jackpot win as well, and finally, there is the loyalty jackpot also on hand should you play the slot for long enough. 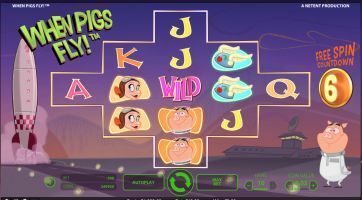 Nowadays, progressive jackpots are very popular because the jackpot continues to rise higher rather than being a fixed paid jackpot amount on display. Each time a player plays on the slot, a percentage of cash is donated to the progressive jackpot, until eventually the slot bursts its coffers and pays out what is more often than not, a huge cash prize. This is quite an extensive section because there several different types of loyalty slots that use either loyalty cards, or if you play online, then loyalty points can often be used to gamble with. If you are playing one of these slots in an online casino, then you probably have a membership card from that casino no doubt awarded for your loyal patronage. The card can save your progress on a particular slot or just be used to actually play slots dedicated to those that possess a loyalty card. To play, players just have to insert their loyalty card into the slot and off they go. The points can be used rather like cash, and cash payouts, free prizes, tickets and so on can be won. Generally, these slots only really exist in huge casino cities such as Las Vegas, Macau and Atlantic City. Just standing at one of the slots in the casino makes anyone look prestigious as passers-by will know the player is one of the casino’s loyal members, and so some personal status goes with the card. Points at the live casino are earned by spending cash! All the games in the casino will have a card slot to record your play, and at the cashier’s window, they will note how much you cashed in and out for. Also, points are earned by wining and dining at the casino, booking a room and so on. A very rare slot to find where you can play using the VIP or loyalty points you have collected playing at your online casino. This is a little like poker sites whereby some poker players will play a game of Hold’em using their loyalty points. If you happen to win more loyalty points this doesn’t usually count toward your casino VIP, but you can exchange loyalty points for cash, merchandise or prizes if you win enough of them. Finally, there are some slots that are not full time loyalty slots. They are in fact just you average slot like Mega Moolah or Tomb Raider, but they have been selected to give away additional extra loyalty points for the day, week or month as a promotion. That means if you play this slot, you will win something like double or triple loyalty points for every bet your make within the promotional period. As with any slot, loyalty slots come with multiple themes. Some slots these days come with multi-level game play that is saved when you exit the slot. This is another way to keep players interested in the slot as the excitement of progressing to another level gives players a real interactive gaming experience. Try Merlin’s Millions – this is a slot that will give you a multi-level game playing experience. Your progress from each level is saved, and so when you revisit the slot, you will start playing at the higher levels reached in previous sessions. Each level means the player will be paid better prizes giving players plenty of incentive to keep pushing on. In short, loyalty slots have been designed for the true slots fanatic. Those that can’t stay away from the slots and love all the strategy and excitement that comes with slots play. For the most part, loyalty slots are based on a collection system. The more you play, the more icons or credits you collect that go towards either triggering a bonus round or a loyalty jackpot. Once the stipulated amount has been collected, then the slot will payout. Other loyalty slots can be played using existing loyalty point balances. If you play online, then the bets will be deducted from the loyalty balance you have achieved; while, in most live casinos – the casino tracks players points on the member’s casino loyalty card. This card is used to earn points via any form of monetary exchange made within the casino be it dinner or gambling. Plus, there are slots that award extra loyalty points for playing that particular slot within a given promotional time period. All in all, loyalty slots are designed for the players that love to continue playing and love the feeling of getting that little bit extra for their dedication.